Kenwood carry out many pre-purchase surveys every year. Purchasing a property can be stressful enough but, when issues surrounding damp come up, this can add to the stress levels. Kenwood are here to take the hassle away, with fast, free surveys and reports. We typically inspect within 48 hours and send the report the next day. 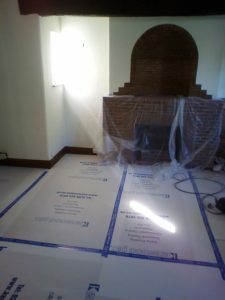 This was the case with this recent project in a beautiful large detached house in Leatherhead. Two walls were found to be affected by rising damp which required treatment. As soon as our client got the keys, Kenwood were on site. 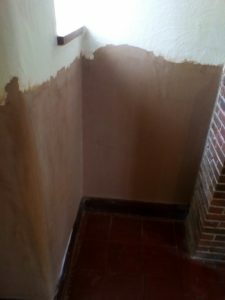 Our highly trained operatives removed the wall plaster, injected a new chemical damp proof course and replastered the walls. The walls have been skim finished so they are left beautifully smooth. Redecoration can take place in around 4 weeks allowing our client to turn their new house into a home.